Please join me and 40 other local authors at this 2nd annual book-signing event. This will be a truly fun day for all book lovers. For each book purchased, coupons will be given for hot dogs and sodas. 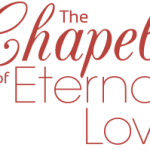 I will be promoting all three of my published novels, The Chapel of Eternal Love – Wedding Stories from Las Vegas, the sequel, Return to the Chapel of Eternal Love – Marriage Stories from Las Vegas, and my cozy mystery, Murder Aboard the Queen Elizabeth II. Thanks to host James Kelly and Aspects of Writing for initiating this annual event and for promoting the local literary community.